The sheep were removed just in time! The Tandem Club 2016 National Rally was held at Kirkley Hall Campus, part of Northumberland College situated some eight miles north west of Newcastle City Centre. The Kirkley Hall Campus specialises in Agriculture and Horticulture. Kirkley Hall Zoological Gardens are located within the grounds. The hall is a 17th. century grade II listed building set in parkland. We had the use of a field and the campus facilities for showers, toilets, restaurant and bar. The area abounds with cycling routes taking in both flat and undulating countryside. Many historic sites and views are within easy cycling distance. The Velocio Trophy and Hill Climb events took place during the week. Of the 11 National Parks in England and Wales, Northumberland is the most northerly, most remote from large urban areas, least visited and least populated. Northumberland has more castles than any other county in England. A legacy of its turbulent past, including the infamous Border wars which raged from the 14th to 16th centuries, Northumberland boasts over 70 castle sites. Many have long since disappeared, some, like Dunstanburgh Castle and Berwick Castle, are romantic ruins. See others in their fully restored glory - like Bamburgh Castle, as seen on Robson Green's Tales from Northumberland. 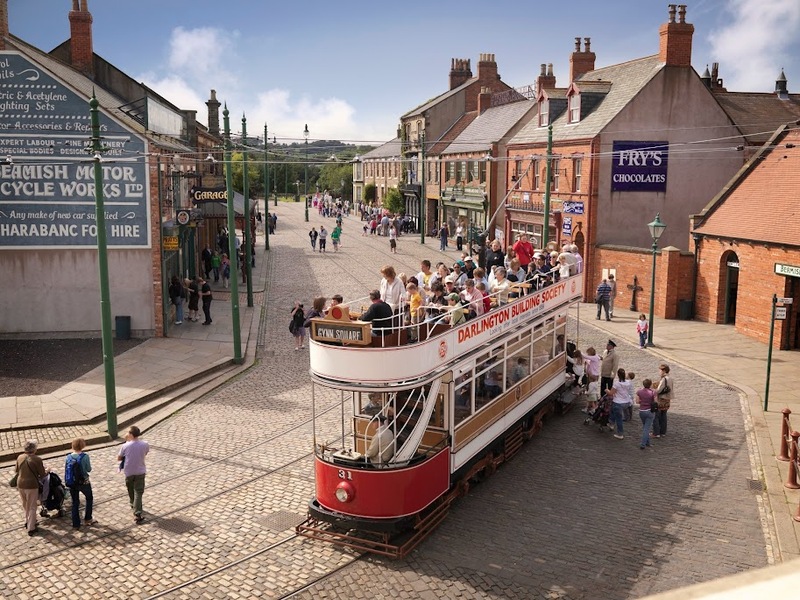 Coach trip to Beamish Open Air Museum Wednesday. A varied selection of rides was planned and are available on our routes page. Breakfasts, Packed lunches and evening meals were available each day if pre-ordered.